Jurgen Klopp waxed lyrical about Fabinho yesterday in preparation for today’s Champions League tie with Red Star Belgrade. The Reds host the Serbians at Anfield, desperate for a win after we lost to Napoli last time out. Fabinho is likely to come into the side for his first start in a serious competition, having turned 25 yesterday. 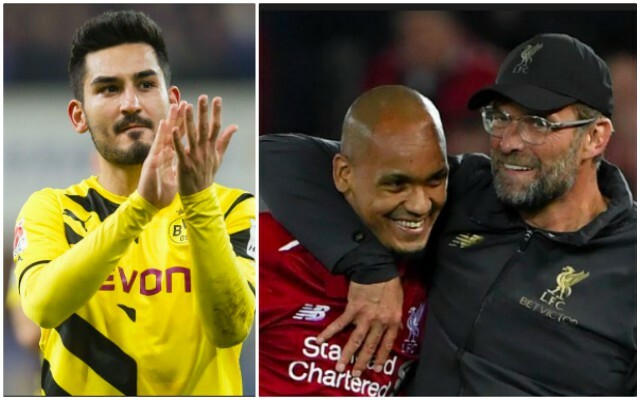 The boss has compared his situation to Andy Robertson last season, but also Ilkay Gundogan, whom he managed at Borussia Dortmund and similarly took a while to settle before becoming one of the best players in the Bundesliga. “He [Fabinho] has all the qualities; hard challenges, good offensively, good defensively, quick, good shooter, fantastic set-pieces, good header – all these things,” the manager told LFCTV. “Strategic too, he is good strategically in the right moment. But it’s been a different system. We just play different and that always needs time. He’s just a fantastic addition and can improve us from a specific moment on. “Go back a year and look at Andy Robertson. He played one or two games by this stage, not too many, and then he became the player he now is. These quotes from Klopp suggest Fabinho’s level in training has dramatically increased in recent weeks and that he’s found his Liverpool feet. It’s perfect timing, really, as skipper Jordan Henderson is injured, Naby Keita is also not available and James Milner’s phenomenal early season form has tailed off. Fabinho can offer technical ability, physicality and composure and we have a feeling that once he gets into the side he’ll eventually become an automatic starter. Hopefully tonight’s clash at Anfield will be the first time we see what he’s really capable of.